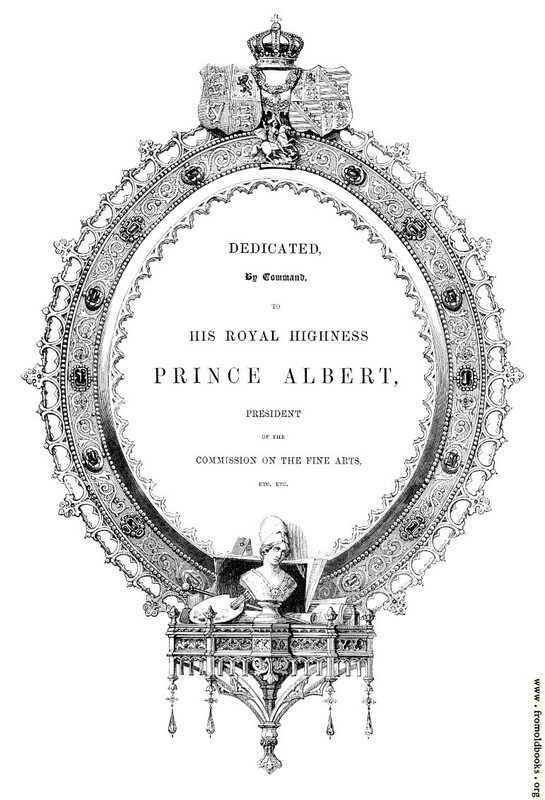 The dedication page comes after the title page and imprint page. 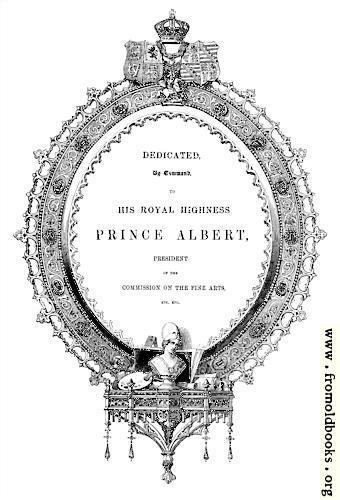 Here it uses a giant circular frame or cartouche of gems or diadems to enclose the text. 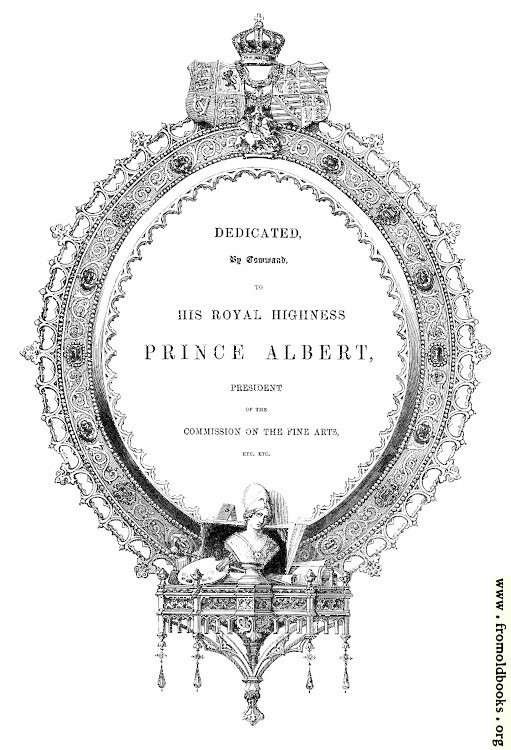 At the foot of the page, under the text, and supported by a balcony with dangling thingies, a bust together with signs representing art, together with a ceremonial rod that might have been related to Prince Albert. 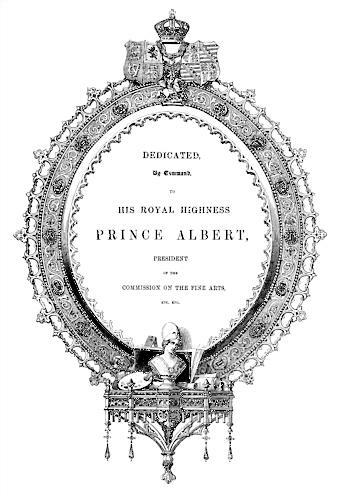 The circular or oval border is surmounted by the armorial bearing, or heraldic shields, of Prince Albert, together with the traditional crown of a prince.